Roasted coffee mingles with our signature 60% dark chocolate and topped with crunchy crumbles of almond toffee for a classic, robust coffee and chocolate flavor combination. Like a bold cup of espresso, this bar is full of robust intensity. The rich, roasted coffee and smooth 75% dark chocolate mingle with a sprinkling of crunchy bits of buttery almond toffee. Mellow vanilla and caramel flavors pair in playful contrast with the slightly sweet and salty notes. Absolutely the very best dark chocolate coffee combo. This chocolate bar is DIVINE! I am in love with this one. It's a delicious, smooth, dark chocolate with a hint of toffee butteriness at first bite and a nice coffee accent. What I love about this bar the most is that it keeps the add-ons classy by making sure they don't overpower the chocolate. Because I did want a chocolate bar, after all - NOT a candy bar. If you realize there's a difference, you'll love this! Also, I'm not sure why anyone would buy a chocolate bar based on the picture, which is of splashing chocolate and toffee. Chocolate bars don't splash... so please realize there's not splashing when you open this packaging. 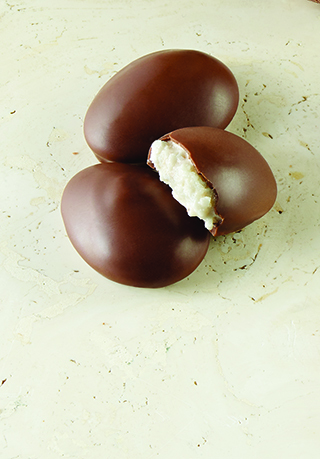 The dark chocolate is dotted with fine toffee crumble on one side and is infused with just the right amount of coffee. I've had half a bar and I'm amped. So be warned that this may keep some folks up at night if eaten late in the day. However, it is PERFECT for a mid-workday pick-me-up! The perfect blend of coffee and chocolate. love it. have to force myself from eating all of it at once. This bar is the perfect mix of coffee and dark chocolate. It's not too sweet, if you like really dark chocolate and coffee you'll like this. The toffee is there, but definitely not a star of the show and really could just go away and not be missed. The pic on the packaging is misleading as this is truly a chocolate bar with a touch of toffee. If you're looking for sweet chocolate or a lot of toffee choose something else you won't be happy. 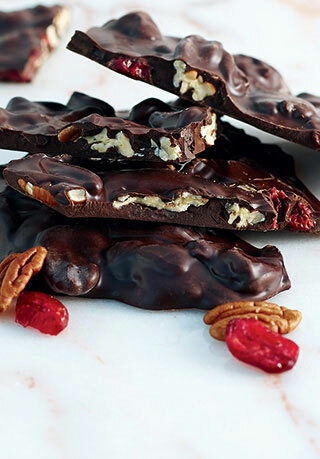 The bitter chocolate and coffee, cut ever so slightly with ground toffee bits, make this a family favorite chocolate bar. I agree that the image on the box is misleading, but I forget all about that after the first bite. Delicious chocolate bar with coffee flavor and toasted almonds, but I think they forgot the toffee. My bar didn't have any toffee. I received the chocolate bar from my daughter who knows I love toffee, dark chocolate and coffee. I like the bitter taste of the bar. It is just enough sweet and you do get the taste of coffee toward the end. There is not much of a toffee flavor but you do know it's there. I think the coffee and toffee bits are mixed into the chocolate bar. If you like sweet chocolate this is probably not for you. 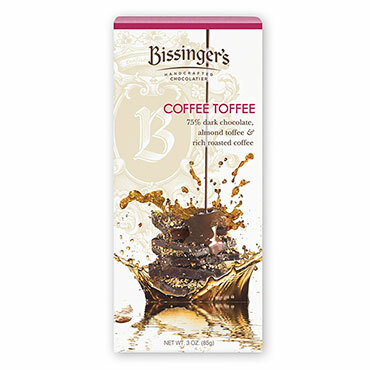 Maybe the marketing folks at Bissingers never saw the product that was going to be put into their packaging of their coffee toffee 3 oz. bar. The face art of the package shows what appears to be a toffee bar covered in chocolate sprinkled with almond bits. Not a chocolate bar with ground coffee inside and toffee sprinkles. INGREDIENTS: Dark Chocolate (Unsweetened Chocolate*, Sugar, Cocoa Butter*, Soy Lecithin (an emulsifier), Vanilla), Sugar, Butter, Coffee, Almonds, Rice Syrup, Invert Sugar, Salt, Soy Lecithin (an emulsifier), Baking Soda, Cinnamon. Facility uses Milk, Soy, Peanuts, Tree Nuts, Eggs, Wheat.